EXPLAIN TO ME: Why are Russian warships heading to Australia? 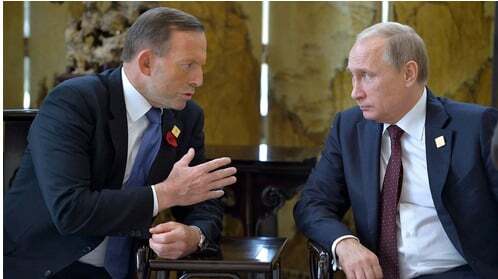 Mr Putin and Prime Minister Tony Abbott met at the APEC summit in Beijing on Tuesday to discuss the downing of Malaysia Airlines MH17 over eastern Ukraine in July. Last night, Channel 7 news reported that four Russian warships were “steaming toward Australia” in a “show of strength”. The ships’ presence off the coast of Australia followed Australian Prime Minister Tony Abbott’s promise last month to “shirt front” Russian President Vladimir Putin over Russia’s reaction to the demise of Malaysian Airlines craft MH17. Here’s what you need to know about the ships, what their presence near Australia means — and whether you need to be concerned. The Defence Department has confirmed it is monitoring Russian naval vessels currently travelling through international waters north of Australia. In a statement, the department said the ships’ movement was “consistent” with international law for military vessels. 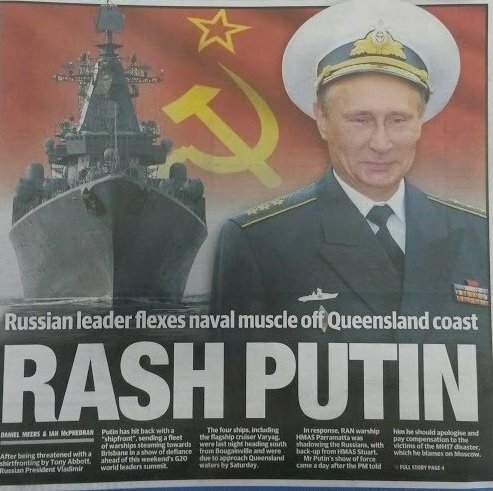 Today’s Daily Telegraph front page suggests Putin was merely flexing his “naval muscles” with the display. “The movement of these vessels is entirely consistent with provisions under international law for military vessels to exercise freedom of navigation in international waters,” the statement said. 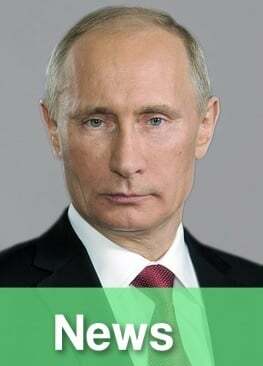 Russian president Vladimir Putin is due to arrive in Australia on Friday for the G20 summit in Brisbane. “Russian naval vessels have previously been deployed in conjunction with major international summits, such as the APEC meeting in Singapore in 2009,” the Defence statement said. Julie Bishop played down concerns about the ships. Defence said it regularly undertook maritime surveillance patrols in the approaches to Australia. 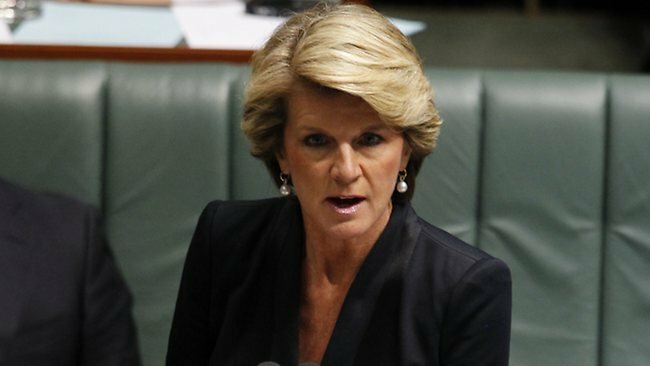 Foreign Affairs Minister Julie Bishop has played down concerns about the presence of the Russian warships. “We have been aware of it for some time. We’ve been tracking it and as far as I know, they remain in international waters,” she said. This article was first published by the ABC and has been republished with full permission.